Do you struggle with hard to treat acne that just doesn’t respond to at-home cleansers and lotions? If other acne fighting treatments have failed, you may find success with the revolutionary method called Blue Light Treatment. This state-of-the-art solution has been clinically proven to eliminate stubborn acne by destroying acne-causing bacterium in the pores with specific wavelengths of light. We now have this new acne treatment in our San Diego dermatology office. Certain blue light wavelengths have been found to safely and effectively destroy Propionibacterium acnes (P acnes), the bacteria that live on the skin, hair, and oil glands that cause acne breakouts. This bacteria is so sensitive to blue light that it can be eliminated from the skin during one treatment, helping to prevent inflammation and breakouts. As a gentle acne treatment, the blue light is painless and relatively quick, allowing patients to recover from previous breakouts and blemishes to maintain healthy skin longer. Every individual has unique skin that will respond differently to blue light treatments, so it’s difficult to give a comprehensive guide of what to expect during your particular treatment session. Regardless, the number of required sessions will depend on each patient’s individual goals and concerns, and a cosmetic dermatologist will evaluate your skin to determine the best strategy regarding treatment. Generally, blue light acne therapy requires multiple treatment sessions per week, followed by fewer and fewer sessions over time. The more acne treatments a patient receives, the better the outcome. 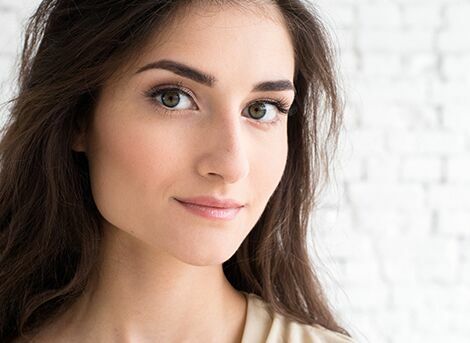 If you are interested in blue light acne treatment, the skilled dermatology team at Cosmetic Laser Dermatology in San Diego can evaluate your needs and create a customized plan that’s unique to you. Q: How often do you need blue light therapy? A: The number of blue light sessions required varies from patient to patient. During a consultation with a dermatology specialist at CLDerm, we will evaluate your specific conditions and determine a treatment plan that's appropriate for you. Q: Is this procedure safe? A: Blue light treatments are perfectly safe for every skin type and color. They have been found to be especially effective on inflammatory acne and red pimples, but can also achieve great results on moderate to severe cystic acne and even acne scars. Q: Who is a candidate for blue light acne treatments? A: Blue light treatments are ideal for anyone who struggles with acne because the sessions are painless and do not cause side effects like other acne treatments do. Q: Is there any downtime associated with this therapy? A: Blue light acne treatment is a very safe procedure that requires no downtime necessary. These treatments can even be performed on women who are pregnant or breastfeeding, further illustrating how safe they are! Blue light acne treatments are often combined with photodynamic therapy (PDT), especially for particularly serious cases of acne that might also include rosacea, sun damage, sebaceous gland hyperplasia, or pre-cancerous lesions. A topical photosensitizing agent that is activated with certain wavelengths of light is first applied to the skin before using the PDT device to achieve the best results possible.